Colt needs to step up. COLT. One of the most famous names in the firearms industry. And one of the most poorly managed companies, with some of the most lack luster products for some of the highest dollars. Colt is one of the least impressive companies still in business. They think their name still holds currency in the market, and for a small, dwindling market segment, they do. But that base is shrinking. Colt may be coming out of bankrupcy again – but if they don’t change, they are going to go right back into it. 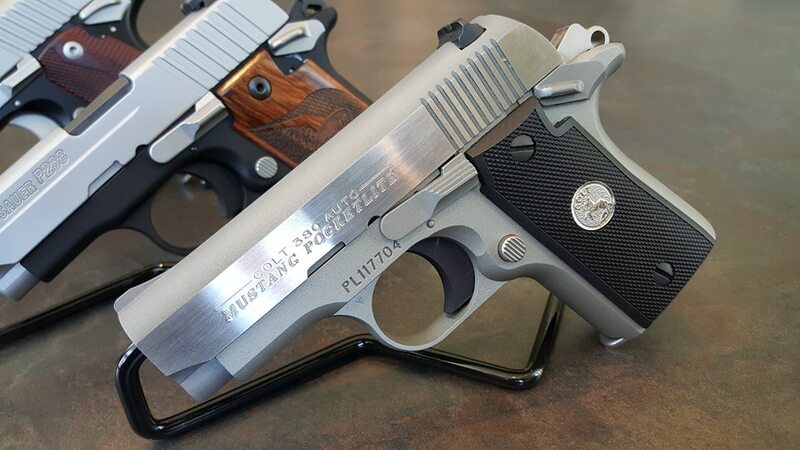 Any Colt firearm only looks good if you don’t look at any of the competition’s products. From these images it looks like Colt is making some fine weapons. And really, they are. But there’s a problem. They are over priced. Somewhere about 200 dollars over priced. At the same time they are not up to snuff, compared to the competition. Let’s look at the Mustang. 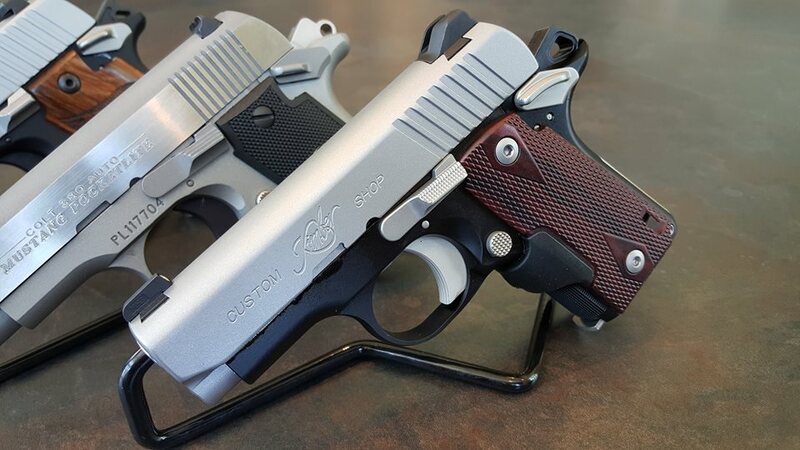 The competition is the SIG 238 and the Kimber Micro. 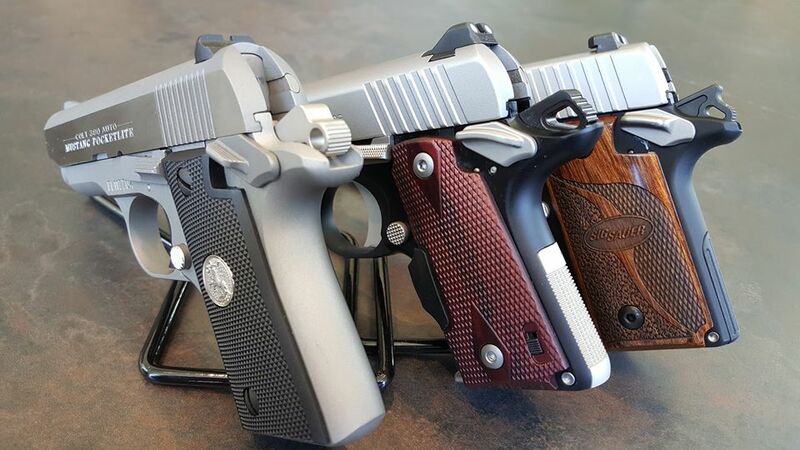 All three of these pistols are subcompact .380 Autos, all similar design and function. And all taken from the original Colt Mustang, that Colt killed, SIG resurrected, and then Kimber and Colt came on with the Me Too theme. Of the three, the Colt is the most expensive, and as you can see, the least desirable. It’s the worst finished, with the worst sights. The other Colt guns leave me a bit unimpressed. The slides are alright, but the frames all feel like they are unfinished sand-castings. Of course, they are not… they are Media Blast finished… but they feel… sandy. Rough. Sets my teeth on edge like fingernails on a chalkboard. 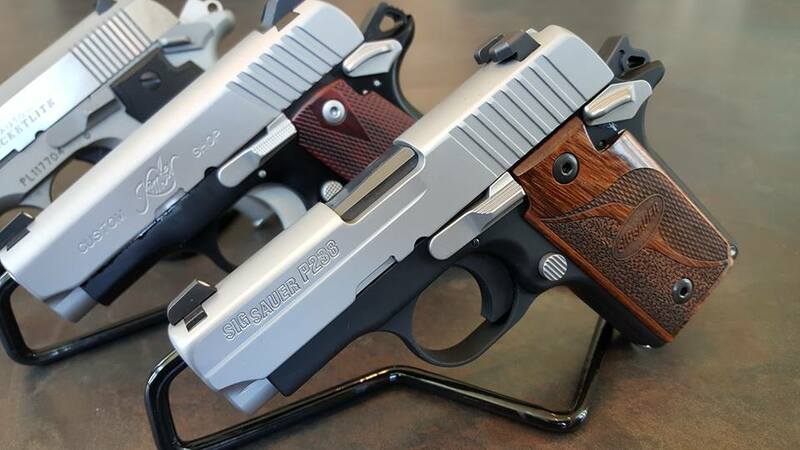 SIG’s 238 set the bar for what this sort of pistol needs to be like. And Kimber took that challenge and came in with a tie score. 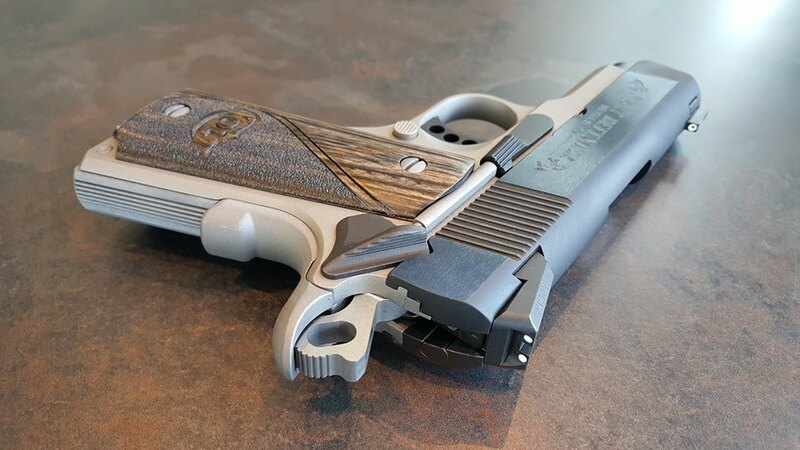 The Kimber – being not a favorite brand of mine by any means… has a strong game in the Micro. Making the Colt look like the Ugly Step Sister… which it is. Other than the finish, the Colt’s molded in front sight is just flat out unacceptable. The others have dove-tails with high viz sights. The Colt’s is No-Viz. Here’s the Cold Railed pistol. A Tactical pistol with an all the bells and whistles price take, but has no bells and no whistles. 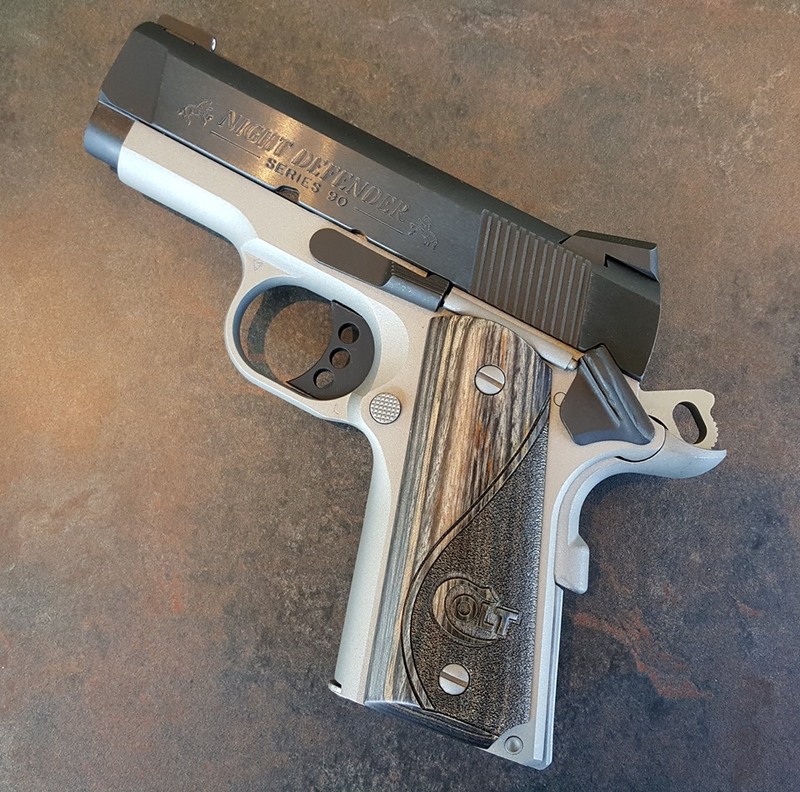 It’s pretty much at the same level as a Springfield Loaded Model, being simply a railed 1911… but has a premium price tag only because it bears the Colt name. Rough finished frame, notchy feeling action, and a trigger that feels like you are dragging a piano over a gravel road. This is not a good gun for the money. 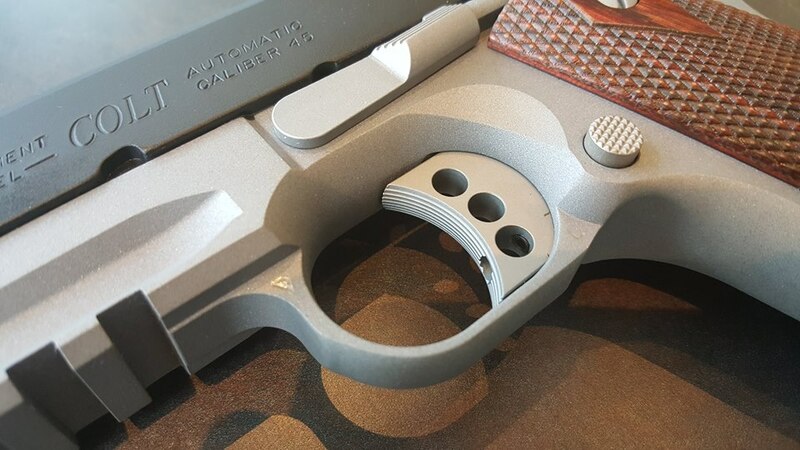 If you get one, you are going to need to an action job, trigger job, new sights, and you are going to want to get that frame cerakoted or something. So about 500 dollars worth to put this gun where it needs to be. While I do like the look of it in the photos I took… yes, it looks nice. It just doesn’t feel anywhere near as good as it looks. Honestly, for less money, you could buy a Springfield MC Operator or a SIG 1911 TacOps, and have a better gun right out of the box, and save enough money for some spare mags and a case of ammunition. What does Colt need to do to fix these? Well, finish them for one thing. Everyone else is throwing on some checkering or a nicer finish, and coming in at less cost. Let’s start with that. If Colt can step up to that level… That would be nice. A move in the right direction. We don’t even need to talk about the Reliability issues. 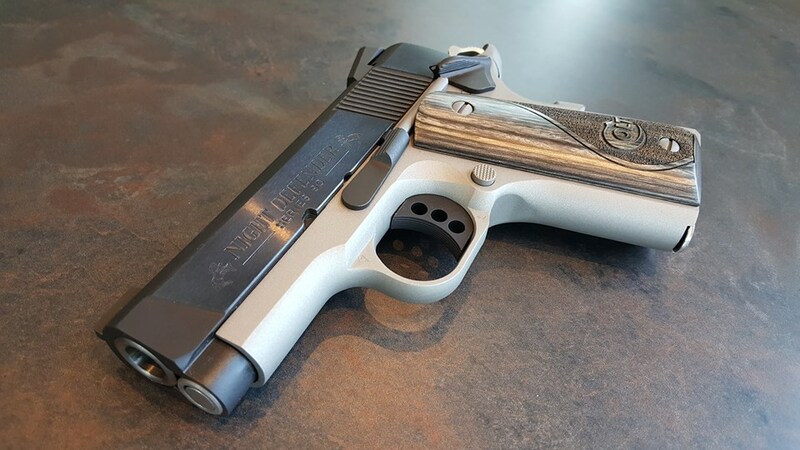 The Defender model of 1911 is one of their most popular models. It’s also the most unreliable 1911 I’ve ever seen next to any Kimber Ultra pistol. I saw one guy that had bought two of them. Both of them didn’t work. Both went back to the factory. Once returned, one of them still had the reliability of a 4 year old. And the one that “Worked” had the most sporadic ejection I’ve ever seen on any gun. It was more like an open pan of popcorn… it could spit cases out in any direction. Including into my forehead and teeth. Some directions seemed physically impossible. And that’s just the guns from one customer. One man. There have been others. Many others. In fact, of all the Colt Defenders I’ve seen sold or have sold myself. Well, I don’t know of any that didn’t cause the owner some sort of grief. I do know a couple guys that have them and say they have no problem with them. But these guys don’t actually fire the guns. If you don’t actually shoot it – of course it’s not going to cause you any problems. Problems are only going to pop up when you pop rounds. So these guys are saying that the guns don’t spontaneously self destruct, I guess. Grips don’t suddenly spring off the gun and fly across the room… No problems then. I’ve never seen a reliable Colt Defender. Ever. 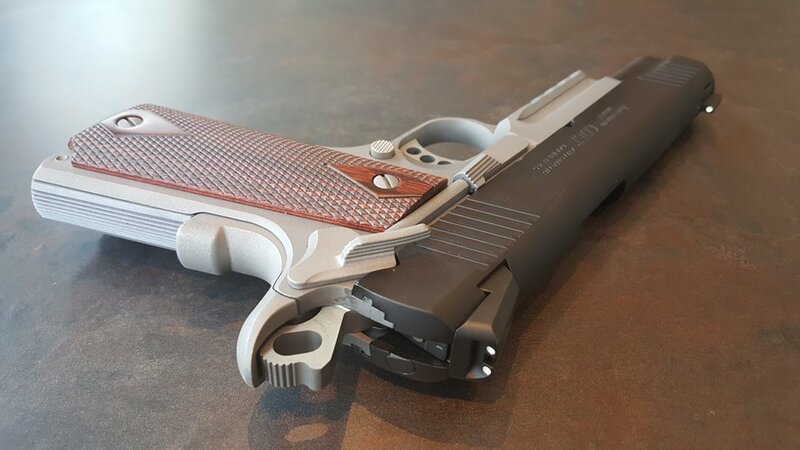 I’ve never seen a reliable Kimber Ultra either, but you can get an Ultra for a lot cheaper than a Defender, and any of the Ultra series guns are probably better guns than the Defender. Maybe even more reliable. Maybe. If Colt is going to really make a come back with the American Gun Owner – Colt is really going to have to step up. Remington was once known as Big Green. They were huge and they were moving. Winchester had dropped the Model 70 and Savage wasn’t even an option… Brownings and Sakos were for the rich and famous. The Model 700 was dominant as the bolt action for the Every Day Man. The only shotgun worth having was the 870 for serious field use. Remington rifles were known for accuracy and quality. The shotgun for rugged durability. There was no question about this. These were Remington’s halcyon days. Now we’ve had yet another recall on Remington 700 and 7 triggers. Remington only original pistol design the 51 was brought back and it’s looking like a major flop. Remington’s acquisition of Marlin has been regarded as a death knell for Marlin as a brand as the quality control of those storied lever action rifles has fallen through the floor. The ACR rifle which was the great promise of freeing us all from the doldrums of AR-15’ness has fallen flat on it’s face from a lack of the Barrel Conversions as promised to change lengths and calibers. We were supposed to have had them a long time ago, and here we are in 2014 and we still don’t have what what promised. You know, the whole major selling point of the ACR other than “it’s not an AR-15”. 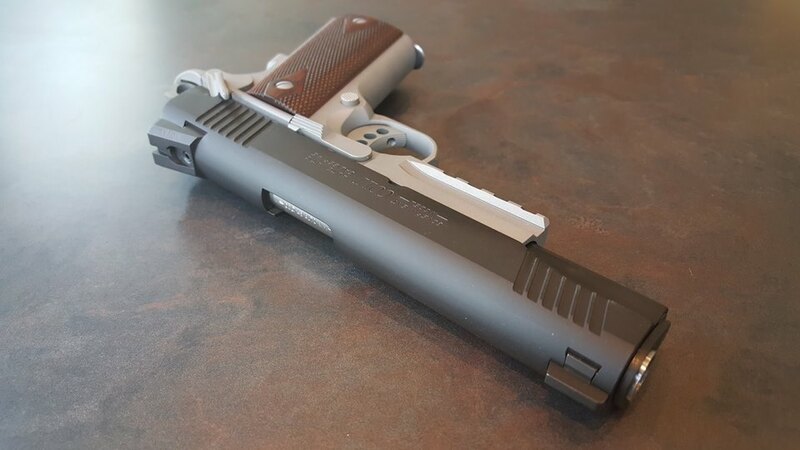 I’ve even seen and heard other guys talk about the Remington 1911 in tones of disappointment and regret. Even Remington brand ammunition is pretty much my least favorite ammo out there. In fact, I’d rather shoot steel cased Wolf stuff through my guns. A common theme in the remarks about any Remington product is “I’ll never buy another Remington again”. It would seem that Remington is caught in a Huey Tuck of unfortunate failures, and doesn’t have the altitude to pull out of it. What can Remington do to prevent the impending doom of crashing through the tree tops? First off, Remington needs to concentrate on quality control. Every gun that goes out there door needs to be individually inspected by a Gun Smith, not just a packaging clerk in the shipping department. And that needs it’s own QC there too. The actions, triggers, extraction and ejection, everything. If it’s not perfect – don’t just ship the bloody thing! Second. There is no valid reason that there are not a plethora of barrel kit options for the ACR platform. None. Zero. Any reason you think you have, is just as excuse. Get them out there and get it out at a decent price. Have barrel options for 12 to 20 inches in all applicable calibers. Just do it. You have a whole mess of people waiting for those and a whole lot of other people that would be buying the ACR if they were actually available. ACR Barrel Kits are now Vaporware on the same level as the fabled Glock Carbine. Thirdly. Just drop the R51 pistol. Continual production and sales of this lemon is putting Remington at risk. A gun that can fire out of battery is a gun that is waiting to Frag its owner and cause serious bodily harm. That’s a mountain of liability that you do not need right now. Someone is going to get hurt and they are going to go after you tooth and nail for producing this thing. And with all the videos on YouTube showing that this is a known and documented issue – you guys are already in trouble on this. It’s just a matter of time before someone files. It should be recalled and discontinued. Or recall it and do a radical redesign. I’m sure there are people at Remington that know how to make the R51 work. You need to listen to them. And fire whoever is keeping them quiet. Fourth. Get rid of the Corporate Yes-Men and start telling people in the upstairs offices “No”. Because not all the ideas have been good ones. Like the 887 Shotgun. That’s a terrible gun. It’s no improvement over the 870, and it feels cheap and wrong. What’s the advantage? No, don’t answer that, I don’t need to hear the propaganda. That was just a bad idea. Fifth. Marlin. You guys really stomped all over the Marlin name. The quality control has been the worst I’ve ever seen. In the production and in the Warranty department. Absolutely the worse. Quality Control there was an absolute joke. We had new guns come in that we couldn’t even get the actions to cycle and we would have returns come back from warranty service missing parts in areas that were unrelated to what they were sent in for. I don’t know how they managed to fail so hard. Who is working in the Marlin department? Chimps? I know things have gotten better. But that’s a low hurdle to mark down as an achievement. When Rossi is making a better Lever Action – that’s just sad. 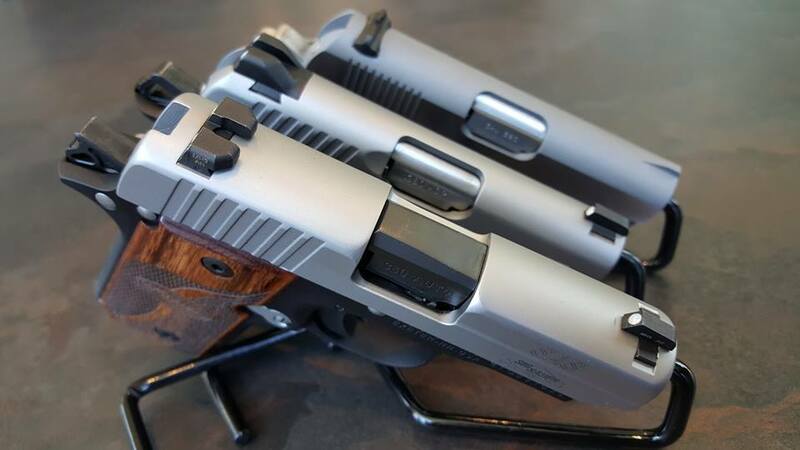 Take a look at Taylor’s and Wild West Guns and look at how they are making some guns that people are wanting… How come you do not have anything like that? Where is your take down? What year is this now? Where are your winged and adjustable aperture sights? I don’t know guys… Can Remington be redeemed? Or have they fallen too far now?